Embedded in the scripture for this liturgical moment is the message of thankfulness and praise that is owed God for those God has appointed, called, and chosen. Their mere existence and willingness to serve as guiding and shining lights, imbued with the talents of creativity, leadership and service, point to the faithfulness and power of God to lead, protect and guide His people in even the most difficult situations. Thus, the Lectionary’s focus on contemporary heroes and heroines (persons born after 1950) is not intended to present the appointed, called, and chosen ones—the highlighted heroes and heroines—as altars of worship. Moreover, the Lectionary’s focus on the individual achievements, contributions, talents and leadership of specific individuals—specific heroes and heroines—is not presented merely to acknowledge individual accomplishment. We celebrate contemporary African American heroes and heroines as a form of praise to God and as an offering of thanks to the Lord for what the Divine has done and from whence He has brought us. Our praises and offerings stand as testaments to others and ourselves that God is both faithful and triumphant. It also provides us with another opportunity to teach lessons of leadership, service, discipline and perseverance. 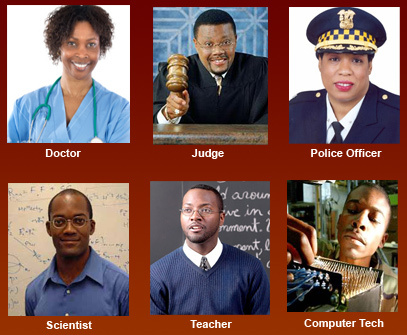 The fact that African Americans, despite the horrors of nearly 400 years of slavery, discrimination and second class citizenship, have survived with an intact culture, along with their corresponding heroes and heroines for each decade and each century, speaks volumes about both the faithfulness of God and the service of those heroes and heroines who have been obedient to their appointments and calls. Each of these heroes and heroines, though imperfect in some human way, carries a divine imprint. The foregoing definitions and etymologies of these words point to the roles that heroes and heroines play in the lives of others and in the general community. In both instances, they are admired and emulated for their achievements and qualities. Through them, others, including children, are able to plainly see what is good and bad and what is possible. These results are appalling, but they highlight a sad truth about many African American children; and, they may even hold serious implications for African American adults. Definitive post studies on what these results mean for individual achievement among African American children are yet to be conducted. Moreover, it is not clear whether African American children carry the negative effects of internalized racism and discrimination into adulthood. Standing alone, annual celebrations of black heroes and heroines in the black church, while likely insufficient to completely erase or prevent the above results, will help the young and old understand that, even though racism and discrimination may exist, it is still possible for black children to excel, actualize their dreams, and provide major contributions to their communities and race. Purposeful celebration of black heroes, if properly used, also may be helpful in helping to offset some of the damaging effects of internalized racism and discrimination. When I was a young boy growing up in my little black Baptist church, Holy Ghost Missionary Baptist Church, and attending my all-black segregated school, Sumner Hill High School (1st through 12th grade) in Clinton, Mississippi, some days I had dreams of becoming an attorney. Other days, I had dreams of becoming a statesman, and, still other days, I had dreams of becoming a writer. At the time, there were no black lawyers in my family, none in my home town, and there were only two or three in the entire state of Mississippi. I did not know and had not seen any of them. There also were no black statesmen or writers in my family or home town; and, I did not personally know any. Yet, none of that stopped me from dreaming, and none of that stopped me from achieving. My dreams were peppered with thoughts of Thurgood Marshall, Ralph Bunche, James Baldwin, Margaret Walker Alexander and Richard Wright—these were some of my heroes and heroines. Using only my imagination, I often visited court rooms with Thurgood Marshall; attended negotiating sessions with Ralph Bunche; recited “For My People” to Margaret Walker Alexander; traveled the streets of Harlem with James Baldwin; and, discussed race and literature with Richard Wright. My heroes, without ever knowing that I existed, helped me to: formulate my world view; believe that I could achieve my dreams; and, escape the oppressive rigors and effects of State-sponsored discrimination and racism. In part, because of them and their achievements, I too believed that I could achieve my dreams of becoming a lawyer, statesman or writer. And, I did. I also remember other heroes and heroines of my past. One such heroine in particular was Mrs. Tommiezine Gray, a neighbor. She stood out as a woman of courage who was “admired for her achievements and qualities.”13 During the 1960s, Mrs. Gray was a stalwart community organizer, civil rights leader, voter registration worker, and religious heroine in our local community. Risking her safety and the safety of her family, this elderly woman fought valiantly for the rights that were guaranteed her and other blacks by the United States Constitution, but were withheld by local and State officials. No doubt she attended hundreds of meetings to secure those rights and to lobby for and organize Head Start programs for poor rural black children. I also remember how Mrs. Gray each year walked from door to door urging her neighbors and others to donate nickels, dimes and dollars to help keep Natchez College, an historic Black junior college, open and operating. Sadly, after Mrs. Gray and her generation died, or became too feeble to continue their work, Natchez College closed. In addition to her work with her church, the St. Thomas Missionary Baptist Church, and the Mississippi and National Baptist Conventions, Mrs. Gray worked untiringly with the Mississippi Freedom Democratic Party, Delta Ministry/National Council of Churches, local chapter of the National Association for the Advancement of Colored People, and a number of other civic organizations, including the local Parent Teachers Association. Several years after her death, Mrs. Gray’s neighbors signed a petition requesting the local town council to create a “Tommiezine Gray Memorial District,” as a posthumous honor of her life’s work. Today, that signed district stands as a visible landmark, for current and future generations, indicating that a woman of courage lived, worked, fought and died as a heroine in her local community. Although remarkable progress has been made in the areas of black education, employment, voting rights, health indicators, political achievements and general living conditions and standards, there still exits a serious need for positive heroes and heroines. The recently repeated doll experiments highlight that need. The black church is the one institution that African Americans control lock, stock and barrel. Many African Americans still look to the church to help fight serious problems that plague the black community. 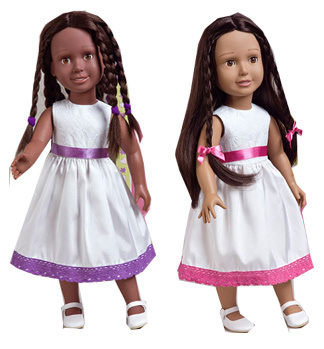 The negative self-image of black children, as represented by the doll studies, is a serious problem that plagues the black community. It is one the black church should seriously address. All over America there are still many black churches with sanctuaries, family life centers, stained glass windows, and Sunday school classrooms where pictures of a blond, white Jesus are displayed. In those and many other black churches, similar pictures of a blond, white Jesus are displayed in bibles, Sunday school books and other religious materials. These symbols of whiteness have been negatively impacting the minds of black children and parishioners for centuries. They are silent markers of who is important and who is not important. They are indicators of what is beautiful and what is ugly. They are reminders of who is powerful and who is not. It is time the black church had an honest conversation on race—it can start on Contemporary Heroes and Heroines Day. It should start with the removal of all white images of Christ and God. Until then, black heroes and heroines, regardless of their achievements or personal qualities, cannot overcome the negative self-images that black children develop because they are bombarded with positive white images and negative black images. Black children will believe they are beautiful creatures of God, once we believe we are beautiful creatures of God. 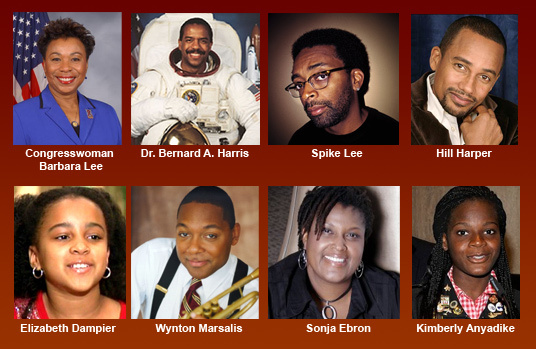 To assist with their conversations on race, black churches can use black psychologists, psychiatrists, historians, counselors, and social workers to organize and lead discussions about: the effects of prejudice, discrimination and racism on black children; the influences that pictures and media have on black self-image development; the effects that white racial images of Christ and God have had on black people; and, options for remedying negative self images. As part of those conversations, churches can replicate the doll experiments with their own young congregants. The results obtained from those local experiments, if similar to the results of the earlier experiments, would be a powerful reason to have the conversation on race. Contemporary Heroes and Heroines Day could become one of the most life changing days on the African American church calendar, if pastors, lay leaders and congregations are willing to face facts, accept truths and really respond to the skewed self-image needs of our children and people. Heroes and heroines Day could lead to a healing that is long overdue. 14. “Say it loud I’m Black and I’m Proud.” Online location: "Say It Loud – I'm Black and I'm Proud." Wikipedia, The Free Encyclopedia. Wikipedia update 1 Jan. 2010. Web. 13 Jan. 2010.